SinCity Partners is the casino affiliate program for SinCity Casino. The casino uses Microgaming, Oryx Gaming and 1x2 Gaming for their casino software with Net Entertainment planned in 2014. The casino is licensed in Curacao and is available in English and Russian languages with the main site focusing on Russia. Webmasters have a choice of revenue share commission or CPA. The revenue share commission rates are 35% and the CPA rates vary from $50 to $100. Affiliates can get paid using WebMoney, Skrill or Neteller ewallets. 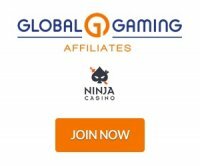 The affiliate program has a unique backend powered by egamingfacility which allows affiliates to see recent stats and get marketing materials like banners and tracking links. SinCity Casino offers a unique experience for players with a combination of softwares that seems to keep growing to provide the best games and casino experience for players.